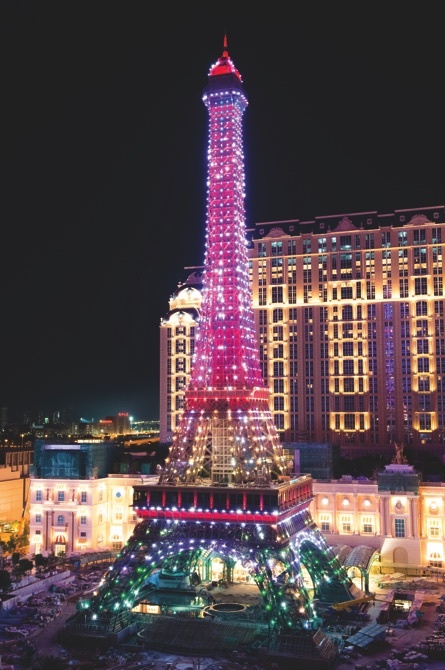 An Eiffel Tower illumination ceremony was held last week at the Sheraton Grand Macao hotel, where the iconic structure’s lighting show was premiered. 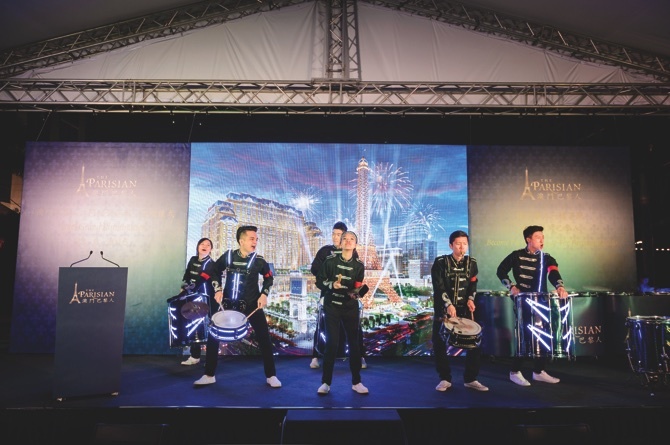 The ceremony also showcased French-themed mime artists, an “urban drum crew” and other performers who are expected to remain at the resort after its opening. 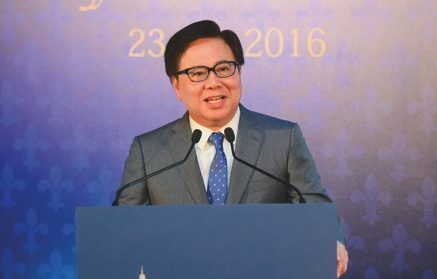 President and chief operating officer of Sands China Wilfred Wong, who officiated the ceremony, said that the tower will be illuminated every night from Thursday onward. 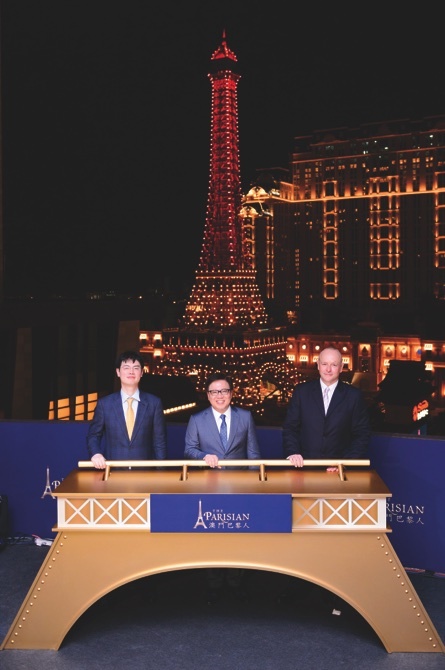 “Already in the last few weeks I have seen people going to our footbridges to take photos [of the Parisian tower],” said Wong. 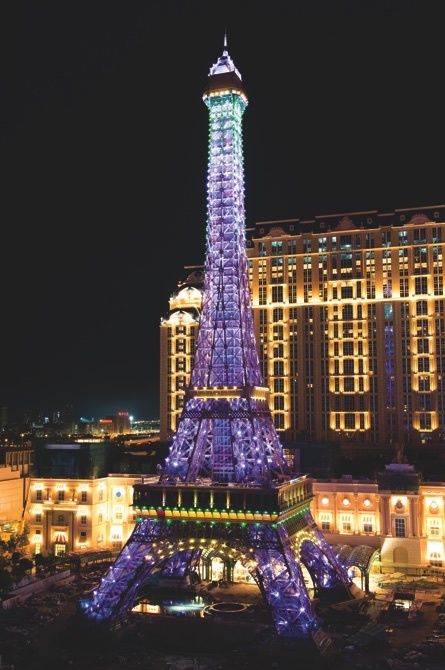 The Parisian Macao was inspired by the famed “City of Lights” Paris, and features a replica of the Eiffel Tower, which is as tall as a 38-storey building, approximately one-half times the height of the Parisian original. After the official launch of the property, visitors will be able to take two elevators to the top observation deck of the tower, which will take approximately 40 seconds according to a statement from Sands China. The property is expected to have approximately 3,000 guestrooms and suites, and more than 150 boutique stores for the latest luxury fashion designers, couture and lifestyle brands. Additionally, the new resort will offer an array of integrated facilities and daily entertainment from French-themed “Streetmosphere” characters, including street artists, mimes and buskers, and shows at the 1200-seat Parisian Theatre.